I like unusual, really unusual novels, sometimes the weirder the better and if they include a science fiction element of aliens, artificial intelligence and psychic people in it, it can get really interesting. You may remember the last strange novel I reviewed, Human Pages by John Elliott. This was meant for those who like to think outside the box. The author of Los Angeles or American Pharaohs, Robin Wyatt Dunn writes this novel in the first person as John Dee telling his account of his life. Its mysteries and strangeness are evident in the pages. As a supposed magician, Dee thinks he is going insane and from what I have read, he just might be. 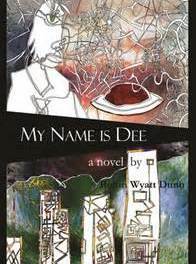 My Name is Dee is written as though Dee is thinking various thoughts and they have all been jotted down on paper, and then typed up. It acts as a journal of his daily activities. What most of us would consider normal isn’t what he thinks. He leads a complex life with his AI son, Foo aliens among many who feature in this story of the bizarre. It seems almost drug induced and drugs do get a mention, but it’s the relationship with those around him that adds humour to an already twisted plot. If you ignored the fact it is penned by Robin Wyatt Dunn, you would swear Weird Al Yankovic wrote it instead. It comes across as oddball, comic and has a lyrical quality some old beat poets would be envious of. This is what Fear and Loathing in Las Vegas must have read like in script form. It is strange and at times disjointed, but still manages to make sense somehow. Robin has Dee lead a complex life full of insanity and terror from the offset. His relationship with his AI son, Albert makes him want to understand more about natural and artificial intelligence so he doesn’t show signs of prejudice toward him, and his psychic sessions with Johnny, an autistic boy. He talks to aliens, the Foo and inter dimensional alien Chaimouskos who is as vast as one can imagine him to be. 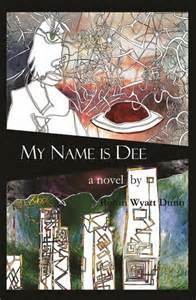 Dee is several people in one that is what makes him insane, he is a killer but he has reasons for what he does and he is in search of Sandra, his writer friend who has been kidnapped. If he wants to find her he has to think hard on what he is and who, and how he can save her and himself. In between all the madness he experiences, Sandra is the one person he wants to protect if only for his own reasons and at the start he tells her he believes she might be in danger, though it is hard to believe that Sandra really exists due to his crazy mental state. It’s hard to see if he is still dreaming or the people he thinks about are real. There is some serious spoofing going on here as he mentions Magicians Anonymous, the self-help group that he regularly goes to, and working with the Church of S, which could be referring to Scientology and a parody of their founder Hugibert (Hubbard.) If you like reading about strange lives in an unconventional book then this might be a novel you want to pick up, but be warned it’s a bumpy ride full of aliens, drugs, psychics and peculiarity.